Viniyoga is a methodology of teaching that respects the student’s capabilities, needs and aspirations. The student is always changing – physically, mentally and emotionally, and therefore, the practice must be adapted in order to continuously increase the student’s therapeutic benefits. There are hundreds of asanas (postures) in yoga. In viniyoga we use the classic asana as a model and adapt it to attain a specific function, keeping in mind the integrity of the spine. We work dynamically in the asana, exploring the range of movement for the greatest opportunity to stretch and strengthen. When the letters of the alphabet are placed in a particular order they form words, sentences and stories. Similarly, when the postures are put together in certain ways they become more effective, efficient and elegant. A well-sequenced practice is a treasure in the yoga world. Viniyoga is suitable for beginning and advanced students. People with common aches and pains, injuries, chronic conditions, pregnant women, athletes and performers, old or young can enjoy the viniyoga experience. I have been practicing yoga off and on for the past 10 years. Always loved the way it made me feel and just the beauty of it. 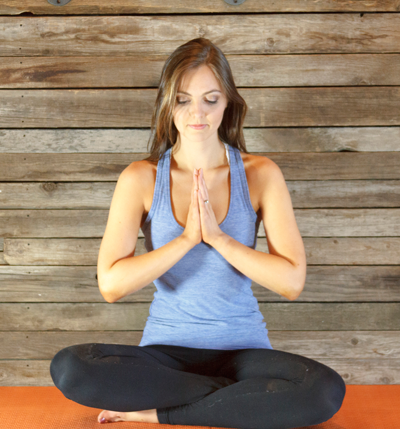 I started to delve deeper into yoga when I started having anxiety and it has been so helpful. After I completed my Associates Degree and Health Coaching Certification, it was time to pursue my passion of yoga and get certified to teach. I received my 200 hour Teacher Training at Discover Yoga in Redmond, Washington in June 2015. Since completing my certification influenced by the Viniyoga tradition, I have been teaching ongoing classes for levels I-II. I’m so excited to share my love for yoga and passion for connecting body, breath and mind with my students. There is so much to discover within ourselves and the journey is what drives me to teach and keep on expanding my knowledge.